Before you start panicking that some sneaky internet bad guy called Garry Desmond took you to the wrong site, Garry Mac and Garry Desmond are the same person! Do we have multiple personality disorder? Not at all (though my wife has many alternative names she calls me) it's a stage name thing. 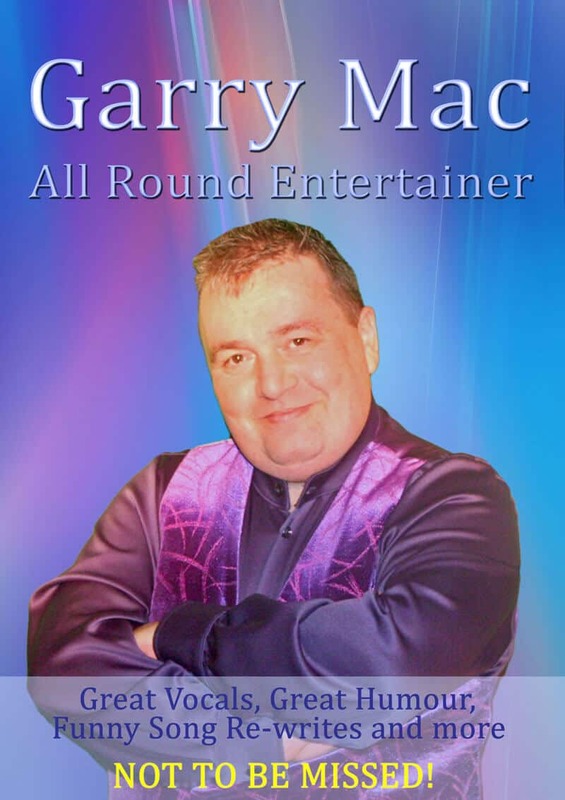 Garry Desmond is used for stand up gigs, Garry Mac is used for comedy vocal gigs so if you were looking for Garry Mac it means your club was too tight to pay for stand up hehe. Anyway, you found me. Garry Desmond is the real me. If you come and see one of my normal Garry Desmond shows it will be mostly stand up with a few comedy songs and perhaps one normal song at the end if the mood takes me. These shows are usually 45 mins to an hour. If you come and see me as Garry Mac the focus will be on the normal songs with a few gags and comedy songs thrown in. These are all night shows with two or three spots the last one will usually be a dance spot with very little of my usual nonsense. So now that all is well in the world have a look at my site and above all HAVE FUN! Why not start at the very beginning? Click here.